Candidate can apply online on the official website or can also get the application form in the admission counter. They have to fill and send to the institute along with the Demand draft of Rs. 550/-. 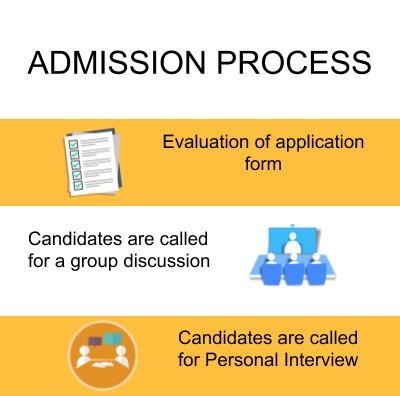 If the candidate is submitting the form in person directly on the admission counter, they have to pay Rs. 500/- cash/ credit card/ debit card and not a cheque. The Institute will send a prospectus to the given address. 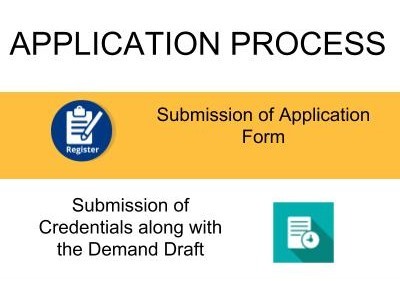 Application form should also be attached with the credentials that include 10th mark sheet, 12th mark sheet, Scorecard of Entrance Examination and Demand Draft. The Demand Draft should be in favor of International Institute of Business Studies Bangalore and should be payable at Bangalore. The DD should be sent to National Head Office, Bangalore along with the application form. They have to fill and send to the institute along with the Demand draft of Rs. 1050/-. If the candidate is submitting the form in person directly on the admission counter, they have to pay Rs. 1000/- cash/ credit card/ debit card and not a cheque. They have to fill and send to the institute along with the Demand draft of Rs. 650/-. If the candidate is submitting the form in person directly on the admission counter, they have to pay Rs. 600/- cash/ credit card/ debit card and not a cheque. Candidates once finishing with the application process have to wait for their evaluation is done. The evaluation is done on the basis of their application form and the credentials attached. Candidates are called for a group discussion and to check their communication skills in a group. Shortlisted applicants are finally called for Personal Interview. Once the admission process is done, candidates are required to pay the first installment of fees before the due date. Applicants applying for the International Institute of Business Studies, Bangalore have to get 50% and above in their 10+2 and undergraduate degree overall academics. They also have to appear for the college entrance examination. They should be graduated from a known college to UGC/AIU. Applicant should also appear for other Entrance Examination CAT, XAT, MAT, CMAT. Candidates should obtain 50% of minimum aggregate in overall academics to get into IIBS Bangalore admissions 2019. Students should answer the college entrance examination. Applicant's falling under SC/ST category should obtain 45% of the minimum aggregate in overall academics. Candidate willing to get into IIBS, Bangalore should pass 12th with 50% minimum aggregate in overall academics. Candidates should be from a science background to pursue this course. They should be also be appearing for the Entrance Examination. Applicants should have 50% of minimum aggregate in their higher secondary schooling to get into International Institute of Business Studies, Bangalore. SC/ST category candidates should have 45% of minimum aggregate in their 10+2. They also have to appear for the institution entrance examination. Applicants have to get 50% and above in their 10+2 and undergraduate degree overall academics. They can be graduated from any discipline. Students should have a good percentage of graduation. There are entrance examination and interview which are being conducted for getting the admission. The candidate must be a graduate to take admission at IIBS. College accepts CAT or MAT score card only for admission. What is the Admission Process of IIBS, Bangalore for MBA Course? Interested students can get IIBS prospectus by courier. Send a demand draft of Rs. 550 in favor of International Institute of Business Studies, payable at Bangalore to Bangalore National Head Office address. Or, you can get it directly by paying an amount of Rs. 500 at the institute, in person. The minimum eligibility for admission to the “Master of Business Administration” (MBA) is a three years Bachelor’s Degree. Candidates appearing for the final year Bachelor’s Degree examinations can also apply provided they complete all Degree requirements by 15th September 2016 for the July 2016 batch admission. Candidates who wish to apply for the “Master of Business Administration” (MBA) in International Institute of Business Studies – IIBS is required to take any one of the following tests. IIBSAT 27th Dec, 2015, CMAT, CAT 2015, XLRI Admission Test (XAT) 2016, Management Aptitude Test (MAT) or ATMA 2016.